Alois Paulin is the pioneer of the Beyond Bureaucracy research field, which he developed during his stay as a researcher at the Vienna University of Technology, Faculty of Informatics, Austria. He holds a Doctor of Science degree in Computer Science & Informatics and a university diploma (MSc equiv.) in Media & Communications, both from the University of Maribor, Slovenia. 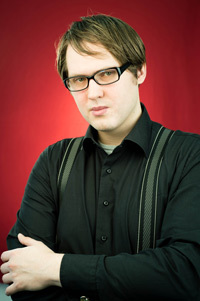 His personal research follows the question how public domain governance can be informatized (rather than computerized / digitalized, which is the guiding question of mainstream e-governance research). In this regard he contributed to the understanding of requirements for sustainable government information systems, and concepts such as self-managed government, liquid-democratic collaborative decision-making, fair non-repudiable communication, and dynamic fine-grained access control. His research contributions received best paper awards, or were nominated, respectively, at highly renowned international digital government conferences, such as the CEEeGov Days, or the CeDEM conference series. He has reviewed for high-impact journals such as Government Information Quarterly, Cities, Computer Standards and Interfaces, the International Journal of Public Administration in the Digital Age, or the eJournal of e-Democracy. He serves on the programme commitees of the CeDEM, CEEeGov Days, and dg.o conference series, and is the organizer of the Beyond Bureaucracy scientific event series. 2017. (Eds. : Paulin / Anthopoulos / Reddick) Public Administration and Information Technology (Springer), Vol. 25. 2017. (Eds. : Paulin / Anthopoulos) International Journal of Public Administration in the Digital Age (IGI-Global), Vol. 4, Iss. 2. 2017. International Journal of Public Administration in the Digital Age, Vol. 4, Iss. 2. Informating Smart Cities Governance? Let's first understand the Atoms! 2016. Journal of the Knowledge Economy. 2015. International Journal of Public Administration in the Digital Age, Vol. 2, Iss. 2. 2014. Journal of e-Democracy, Vol. 6, Iss. 2. 2013. Journal of Universal Computer Science, Vol. 19, Iss. 12. 2013. Computers & Security, Vol. 32, February 2013. 2016. Central and Eastern European e-Gov Days, Budapest, Hungary. 2016. AW4City @ WWW Conference 2016, Montreal, Canada. 2015. Central and Eastern European e-Gov Days, Budapest, Hungary. 2014. CeDEM Asia - Conference for e-Democracy and Open Government, Hong Kong, Hong Kong SAR. 2014. Central and Eastern European e-Gov Days, Budapest, Hungary. 2012. IFIP EGOV 2012, Kristiansand, Norway. 2011. International Conference on Software, Services and Semantic Technologies, Burgas, Bulgaria. 2010. International Conference on E-Democracy, Krems, Austria.